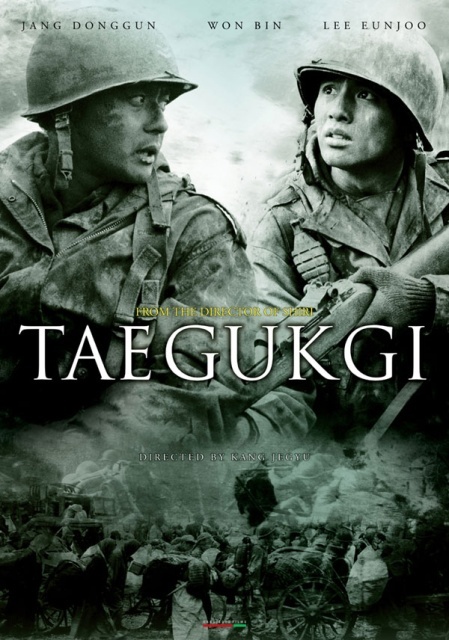 I have been looking at a lot of war movie posters and there are quite a few I like because of their esthetic qualities. But these were probably not necessarily the most successful ones. After awhile I realised that many of the best ones share a few common themes. First we do see a juxtaposition of the individual and the collective or the personal and the impersonal. 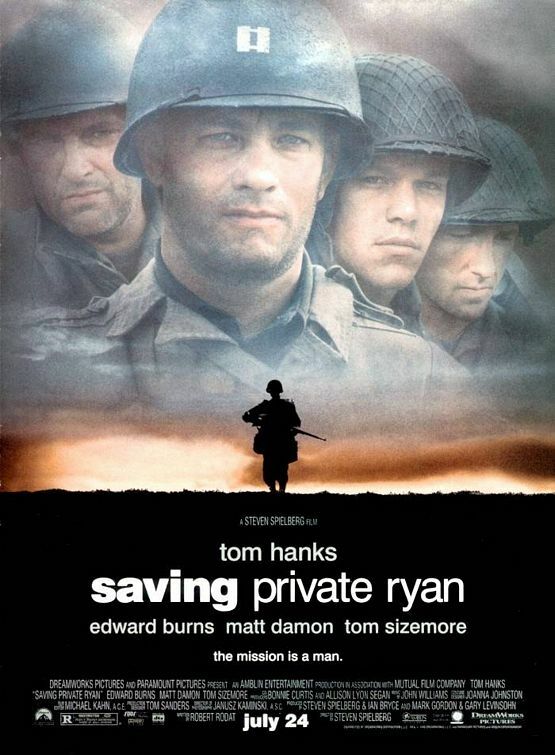 You often see a few faces of soldiers whose story is told in the movie, like on the Saving Private Ryan one and additionally you either see a row of dark silhouettes or one dark silhouette like in this case that stands for the whole body of soldiers. This juxtaposition is actually also the key to all successful war movies and not only to their posters. Take a historical event in which a great number of people is involved and then pick one person and tell his or her story. The fact that millions of Jews have been killed during WWII as horrible and tragic as this is doesn´t suffice to make us sympathize. But take Anne Franks destiny, think of Schindler´s List or The Pianist… That´s quite a different story. We identify and sympathize. This is exactly what great war movie posters manage to symbolize. The anonymous mass versus the individual destiny. Of course there are other ways to interpret these posters. Loneliness in the event of a tragedy. Comradeship… The figures seem small against the background, huddled against one another. This entry was posted in War Movie Posters and tagged Saving Private Ryan, War Movie Posters, War Movies. 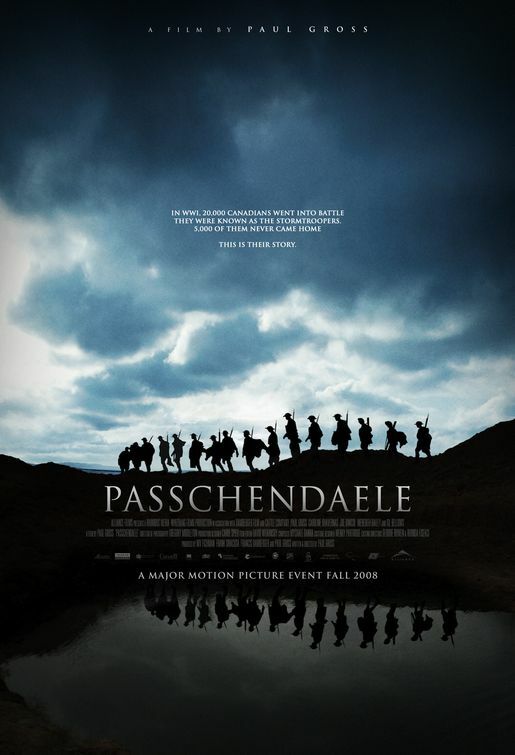 That Passchendaele poster is eerily similar to Band of Brothers. There a few similar ones, some are quite repetitive. Also, though we mention ‘Platoon’ and really, what a great poster that has with Willem Defoe, the movies and what they mean change significantly with the audience. 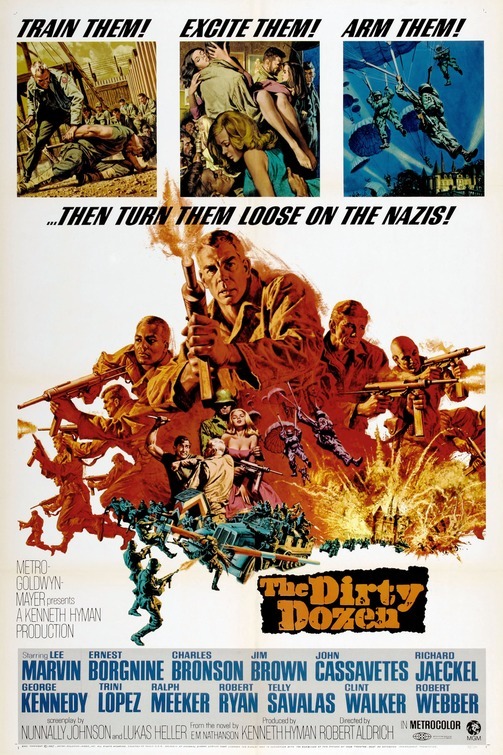 I’d like to say, I’m no great fan of the fictional tale of the Dirty Dozen but when it is on, I can easily watch the whole thing, it has a hook to it. 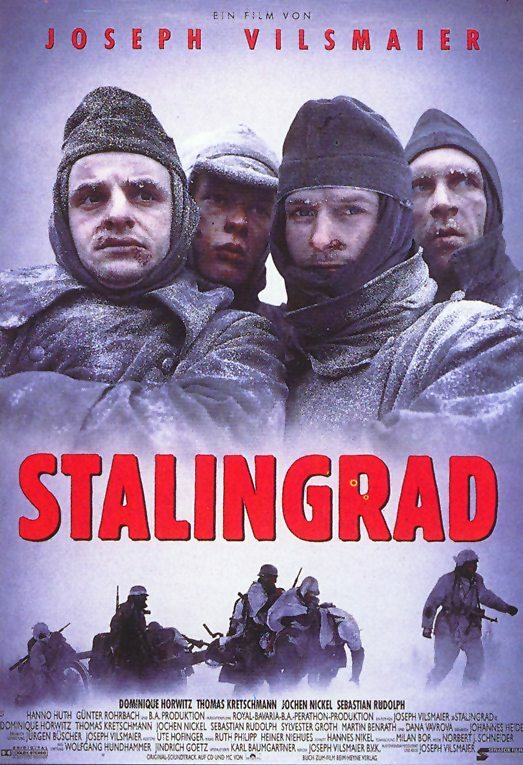 I am not sure Stalingrad and saving Private Ryan posters look similar. Depends on the country maybe. In the German Stalingrad you have the main actors up cöose. I will have to re watch The Dirty Dozen. There is a Remake due i 2012. Someone mentioned it will have one of the greatest casts ever but I don’t know details.